The Central European Nations Co-operation in Peace Support (CENCOOP) is a multinational programme of activities of smaller nations located in Central Europe, in accordance with the Charter of the United Nations and is based on decisions of the United Nations, the principles of the EU, and the objectives of the European Security and Defence Policy (ESDP), as well as the Partnership for Peace initiative (PfP). 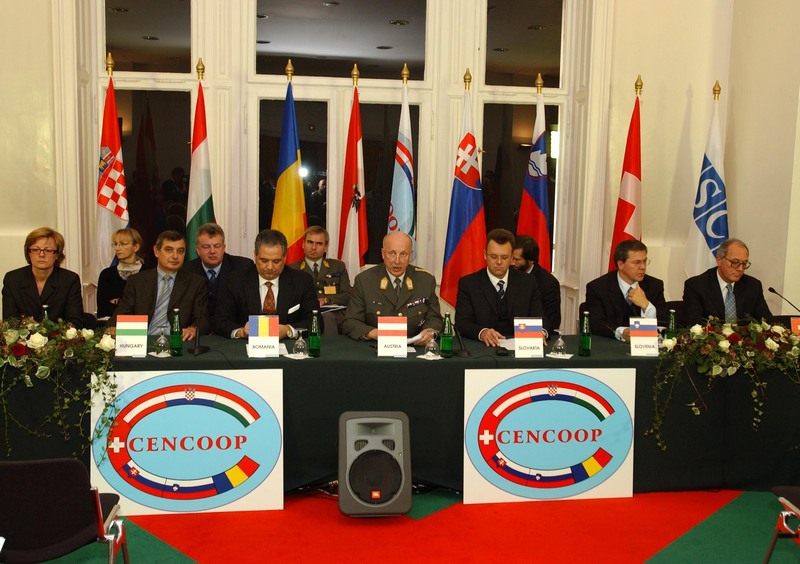 CENCOOP is to improve the capabilities of the Central European Nations (CEN) in order to respond more effectively to Peace Support challenges and achieve a higher profile through regional cooperation. CENCOOP is based on the terms of the Partnership for Peace Programme. Each country participates within the terms as stated individually in PfP. Its flag is white with its light-blue oval emblem, with flags of member states and with its abbreviation in red. Flags are formed in letter C.